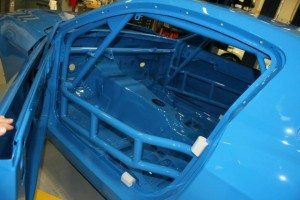 Currently Watson Racing is in the middle of the 50-unit 2014 BOSS 302S Build – and Ford Racing was kind enough to show us a couple of photos of the process. Enjoy! 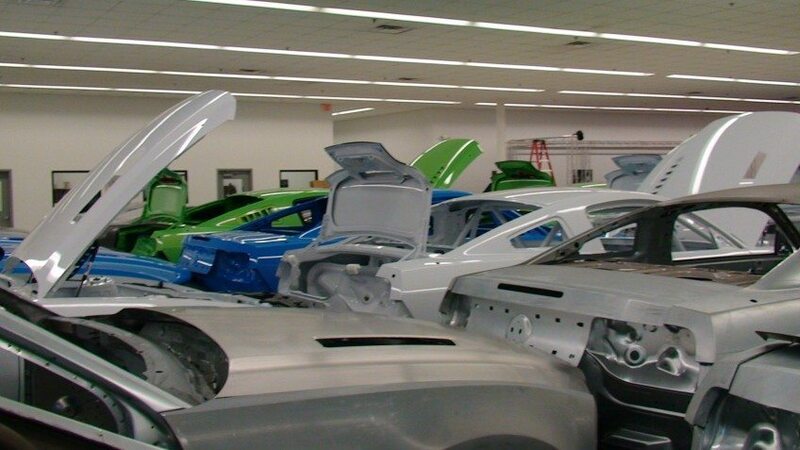 Watson Racing was already responsible for roll-cage installation, receiving the body-in-white cars from the plant, installing the cages, then trucking them back to Flat Rock for the final touches of powertrain installation and modification before they received their sticker package and were readied for delivery. 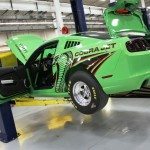 But as Watson Racing was already handling the Ford Racing Boss 302S builds for road racing, it made sense to shift the Cobra Jet production to their immense facility in Brownstown, Michigan, just a stone’s throw from the Auto Alliance plant, and they’ve begun the build process on the brand-new 2014 Cobra Jet – of which 50 cars will be produced. 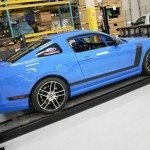 As a result of the success of the 2012 and 2013 Boss 302S, Ford Racing will be offering a 2014 Model Year race-prepared Mustang Boss 302S. 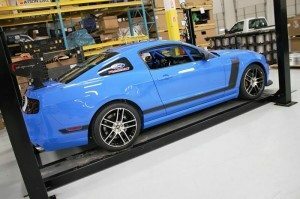 Ford Racing Mustang Boss 302S is a factory-built race car, ready for track days and road racing in a number of SCCA and NASA classes. Minor modifications are required to meet different requirements for each series. 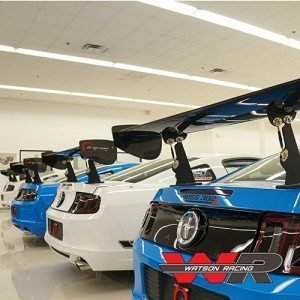 In 2011, the Boss 302S tied the record set in 1970 for race wins by the same Mustang driver in a professional production based series at 5 wins.